Salomon’s Jib junior helmet for boys, a mean looking Helmet for kids, looks the part and does the job. A great fit comes courtesy of the dial adjustment. An ABS hard shell with an EPS liner for the best combination of shock absorption and durability. Vents at the top and at the rear ensure a flow of air for good ventilation, the internal liner can be removed for washing, and the earpads can be taken off for spring riding. 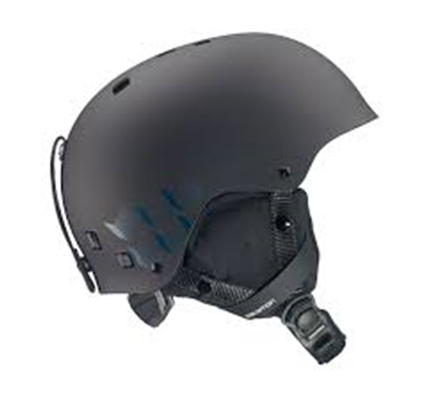 An OSFA size adjuster means each helmet will fit a variety head sizes.